At Wind Creek State Park, two hiking trails offer our guests everything from the beauty of wildflowers and blooming dogwood to white-tailed deer. The trails wind over hardwood ridges and through tall pines down the shoreline, offering spectacular views of Lake Martin. 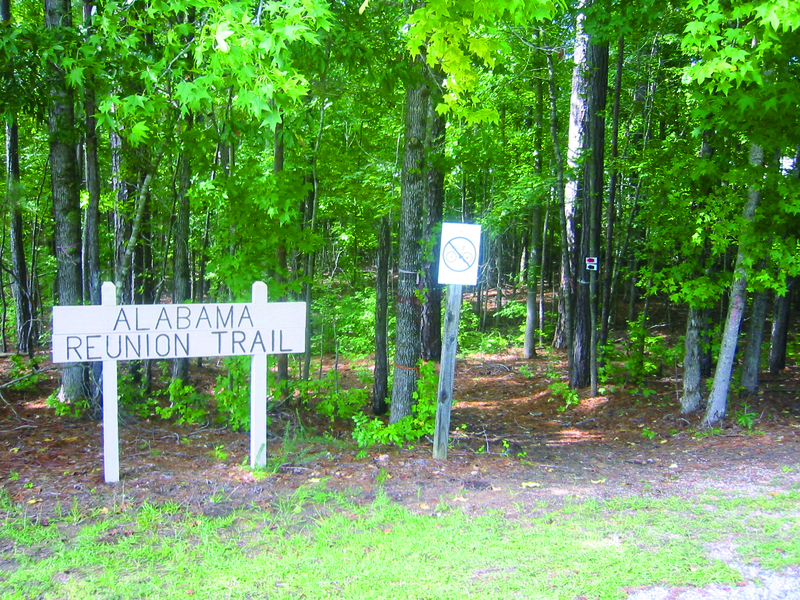 There is also a horse trail, offering riders a scenic view through the hardwoods and tall pines. From Montgomery: Take Highway 231 N to Wetumpka. Turn right onto Highway 170 and continue until Highway 170 dead ends in Eclectic, AL. Turn left onto Highway 63 North for approximately 20 miles. Turn right onto Highway 128 and travel 1 1/4 miles. Park entrance is on the right. Wind Creek State Park spans 1,445 acres along the shores of scenic Lake Martin, a 41,000-acre clear-water reservoir perfect for fishing, swimming and boating. Wind Creek boasts the largest state-operated campground in the United States with 626 sites. One hundred eighty-seven sites are waterfront, allowing for fishing, swimming, and boating. Other facilities include a marina, camp store, fishing pier, hiking trails, playground and picnic areas with tables, grills and shelters. There are bath houses throughout the campgrounds, and facilities for laundry. Seven camping cabins are now open to the public. This trail begins and ends in the northern section of the Park. 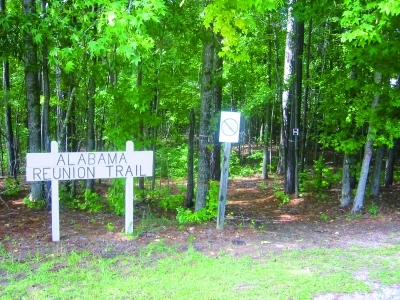 Rated primarily moderate with several steep areas, this trail is approximately 1.8 miles in length and marked by a yellow trail blaze. The three connectors, blue, white and orange, are approximately 1/5 mile each. During the spring, white dogwood, buckeye and oak leaf-hydrangea paint the hardwood ridges with brilliant color. This trail traverses both mixed hardwood forest and intermittent pine. Midway up the trail, a series of rock outcroppings occurs bordered by an abundance of ferns. Toward the end of the trail, a small stream bisects the path leading south. 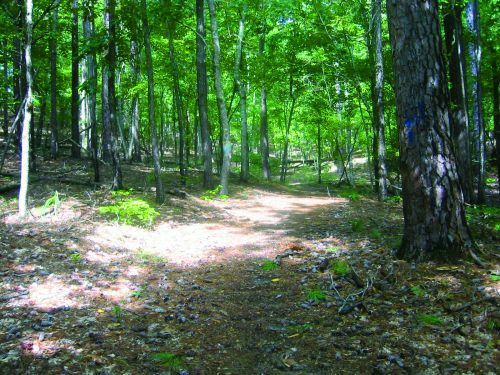 This moderate to difficult trail is approximately 3.8 miles in length and traverses both hardwood bottoms and pine forest. The trail is bisected by highway 128 and marked with red blaze its entire length. The trail is actually a loop with its beginning and end in close proximity. Several natural features can be noted, which include an old home site on the northern half, picturesque hardwood bottoms, stands of pine, beds of fern and an abundance of bird and animal life. The North Side is approximately 1.95 miles and the South Side is 1.8 miles. Approximately 10 miles long offering multiple views of wild life, the Jeff Reed Horse Trail takes riders through a vast forest of mixed hard wood, pines, ferns, along a stream and views of Lake Martin. For visitors that are horse camping, an additional 16 camping sites are available in our overflow area. Please call and check for overnight availability.